Saint Paul Winter Carnival – 17 Days of Carnival! 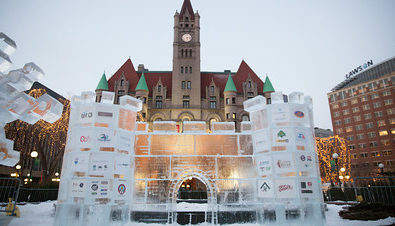 It’s the most wonderful time of the year, and Rice Park has the events to prove it during the Winter Carnival. Walk through the ice sculpture garden, sit in a Royal Throne made of ice, and view the Ecolab Ice Palace. Enjoy live entertainment in Rice Park, vendor booths and other activities. Enjoy a Pabst beer or Barefoot wine at the ice bar.